(Newser) – The Obama campaign shelled out around $400 million between the beginning of 2011 and June 30 of this year, more than any incumbent in recent history has spent in such a short span, shows a New York Times analysis of Federal Election Commission records. 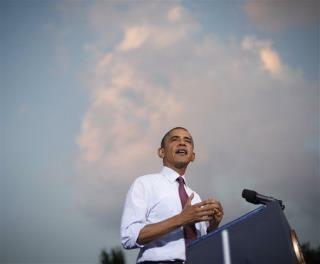 In June alone, Obama spent a lot more than he raised: $70.8 million. His campaign hopes that dishing out the dollars now will create a "grassroots army," find potential voters, and mobilize volunteers, helping him clinch the election, but some of his supporters are questioning whether his team will regret the choice later. Really bad commericals to. TV commerical producer forget that around 20% only hear audio and are not watching video. My god, billions on a presidency. The Supreme Court has made sure that we've got the best government money can buy.